"Dr. Russo is one of "good" ANGELS." "Dr. Russo is a very caring person.-"
"I'm so fortunate to have Dr. Russo as my healthcare provider, she really cares and makes a difference!" "Dr. Russo is a wonderful, caring physician - Have recommended her to many friends." "Dr Russo is a caring, kind and compassionate physician who treatsyou as a partner in your care." "Dr. Russo is a caring, professional and thorough physician. I have and do recommend her highly." "Dr. Russo is my pulminologist and PCP. She is terrific oin both arenas. I have only great things to say about her care!" "Dr. Russo is a very thorough doctor never had a doctor like that before." "Dr Russo is amazing and I recommend her to everyone i know. She's an amazing doctor!" "Dr Russo was even better than described. The amount of care and time she put in during my visit and follow up is something you rarely experience with doctor"
"went for a pre surgical checkup"
"Dr. Russo is a wonderful doctor. Always takes time to review my test results and medications." "Dr. Russo is always very patient and helpful explaining my medical symptoms and any treatment to be followed." "I always recommend Dr. Russo - she's caring considerate & smart." "Dr. Russo is always concerned & explains any questions I have. Never rushes & spends time with me." "Dr. Russo is a warm, kind, professional. Extremely knowledgeable, professional & easy to speak with." "Dr. Russo is very caring and an excellent care provider. She spends the time needed to help her patients, and is very concerned about their health." "Dr. Russo is an excellent doctor. Both my husband and I have a great deal of confidence in her. The advice that she provides is excellent. She is very supportive and helpful." "Dr. Russo is the best." "Dr. Roseann Russo is a highly competent, caring and compassionate physician. I would highly recommend her." "I have recommended Dr. Russo so many times to my friends & family - I love her!" "Dr Russo is an exceptional physician"
"Dr. Russo is an outstanding physician. Her caring & kindness are above & beyond. I wish all doctors were like her." "I have total confidence with Dr. Russo concerning my healthcare." "Dr Russo is the most caring doctor I've ever meet and very educated in her field! She's the very best!!" "If I would not be satisfied I would not be a patient for MANY years." "Excellent Dr. Russo. I love her!!! No complain!!" "Dr Russo is a wonderful doctor. She always spends time with me after the exam to explain the findings." "I've never had a better doctor than Dr. Russo." "love dr Russo makes me feel comfortable"
"I am very happy Dr. Russo agreed to take me as a patient after Dr. Haughney passing!" "Dr.Russo is thorough, caring, concerned and focused"
"Dr. Russo is an outstanding,kind and caring physician who I frequently recommend to friends and family." "Dr. Russo is a very caring professional and takes her time with her patients. I NEVER FEEL rushed. She makes her patients feel very comfortable." "Dr. Russo could easily be the best physician I have ever had." "Although I have seen Dr. Russo & her colleagues for acute care with follow-up visits, she asked for a full physical appointment to discuss entire health picture. I think she is superb in her interest to care for me!" "Dr. Russo is an excellent, caring Physician. I feel very lucky to be in her care. No problem in getting my prescriptions - in the past at another medical provider it was a nightmare." "Dr. Russo is an excellent dr. - very caring, patient & a good listener to issues at hand. She structures her office hours to avoid undue waiting in the waiting & exam rooms - something seldom experienced in dr.'s offices." "Very happy with Dr. Russo." "Dr. Russo is EXCEPTIONAL in every way - friendly, caring, patient, intelligent, and trust-worthy. If I could rate this doctor a 10, I would. Since the ratings on this survey only go up to a 5, the next best thing I can do is to refer people I care about to Dr. Russo. I just recently highly recommended Dr. Russo to my aunt and encouraged my aunt to make an appointment with her." "The office is absolutely fabulous." "Dr. Russo is kind, compassionate and thorough. She diagnosed and treated the problem promptly and efficiently." "The rating for the above questions should be excellent not merely "very good". Dr. Russo is very professional, courteous, expert in her field. I have several doctors, but Dr. Russo is at the top of the list!" "Dr. Russo is excellent - I'm so glad she was recommended to me. In fact, I was successful in also getting my wife as a new patient in her practice." "I am lucky to have an amazing MD like Dr. Russo. She spends as much time as I require without rushing me and discusses my health and interventions. She is a superior MD." "Dr Russo is a very compassionate excellent Dr."
"I am always greeted with a smile by Dr. Russo. She has always taken the necessary time to answer my questions . She is an outstanding Physician." "Dr. Russo is not only an excellent diagnostician she treats me with total respect and cares about both my physical and emotional health. I am always able to see her if I am sick and she returns phone calls extremely promptly." "Dr. Russo has always been understanding and patient with her patients. She throughly goes over the conditions and what can be done to improve such. Very Friendly and caring." "Dr. Russo flat-out CARES. She is thorough and easy to speak with. I have ultimate confidence in her." "Dr. Russo has always showed concern for my condition. She is available for any questions a concerns I have." "Dr. Russo is the BEST!! " "I have already recommended Dr. Russo to others. I have high confidence in her ability." "I am very pleased with Dr. Russo and her Staff and have to return for a follow-up as I had taken a Ct-Scan and will have to take some breathing tests. She was highly recommended by our friends at Northwell Health." "Dr. Russo gave instructions on new medication & said to call her on Monday - she called back to see how I felt. " "Dr. Russo is wonderful, caring, concerned & great communicator. She's always very helpful & responsive to any issue!" "I have already recommended Dr. Russo to a friend of mine." "Dr.Russo is an excellent doctor, very caring, friendly and knowledgeable all doctors should be like Dr Russo"
"Dr. Russo is always very thorough and knowledgable about my medical condition during my office visit. She always takes the time to explain any concerns I may have or answer any questions about my medical issues." "Because Dr. Russo chose a panel of blood tests to give me based on my symptoms, she was able to diagnose my problem (Lyme Disease) accurately w/o my having had to take a neurological exam which I was about to be scheduled for." "Dr. Russo is an outstanding practitioner who I would recommend to any/all friends, family & colleagues." "Dr. Russo provided a detailed explanation of the process & procedure to obtain bronchoscopy utilizing the service of chest surgeon recommended." "Personable, professional and very knowledgeable. Have great confidence in this physician." "Dr. Russo is very attentive, friendly and concerned about her patients. She always goes out of her way to help the patient make the right decision for him/her, so they not only get the care they need, but also feel the right choices have been addressed and made to insure a more comfortable life." "Dr. Russo always makes me feel comfortable - explains the findings and care plan. Answers questions clearly & shows genuine interest in my welfare." "DR. RUSSO IS AN AMAZING PHYSICIAN"
"Dr. Russo is the very best! Where do I even start? First of all, whenever I need to see her for whatever concern, she is always friendly and happy to see me. Next, she is a great listener and is genuinely concerned with how I am feeling. She spends plenty of her time with me; I never feel like she is rushing to her next patient, which makes me feel like I am important to her. Any medical concerns I bring up are addressed by Dr. Russo, and she gives excellent medical advice. Whenever any test results need to be discussed with me, she herself is always the one that calls me and lets me know the results right away. Besides the fact that Dr. Russo is truly an amazing doctor, she is humble, kind, and a sweetheart. Blessed are all those who have the good fortune of knowing her!" "Dr Russo is an excellent physician and I am fortunate to be her patients"
"Dr. Russo goes above & beyond in the care of her patients." "Dr. Russo worked with me to keep me from being hospitalized, I had a 2 p.m. appointment, by 5:30 I had blood work, a nebulizer treatment, chest x-ray, medications, a nebulizer and was home without having to spend hours in the ED." "I have visited Dr. Russo on three occasions. In all three visits, she has been a true professional exhibit care and concern about my illness and has taken the time to explain her diagnoses and next steps to be taken." "Dr. Russo is especially caring about my mental& physical health problems. She always returns any calls promptly." "it was my first visit with Dr Russo and I was very happy!" "I came to my dr thru a recommendation - I will pay it forward." "Dr. Russo is a knowledgeable and compassionate physician who I would highly recommend to others." "Dr. Russo is an ecmxcellent doctor & a very caring person." "Excellent communication and response to my concerns." "I have quite a few health problems that I have ignored due to caring for sick family members and Dr. Russo has addressed all of them step by step and encouraged me that I will be living a healthier life." "The doctor and her staff are wonderful. I'm very happy to have found them. I was referred by another very satisfied patient." "It is always a pleasure to see Dr. Russo - she is a very kind & caring doctor. She takes all the time you need & she never rushes you." "Dr. Russo has always put her patients first." "I wish more dr.'s where as concerned as Dr. Russo." "Dr. Russo is an excellent doctor who is very caring. I can't recommend her enough. Every doctor should be like Dr. Russo"
"Dr, Roseanne Russo is the most caring,understanding wonderful person that I have ever met. She is truly a dedicated Doctor who really cares about her patients." "Always had god experience with Dr. Russo. Not only a good doctor but a good and caring person." "Dr. Russo is one of the best in her field of pulmonary & internal medicine. I trust her knowledge & expertise completely." "Dr. Roseann Russo goes above & beyond for her patients." "She is the best concerned provider I have had. I will referred her to any friends or family who need a doctor." "Dr. Russo is one-of-a kind. She is the best doctor I have ever been to. Anyone should consider themself fortunate to have her as their doctor." "Dr. Russo is a wonderful doctor." "Dr. Russo is kind, considerate and knowledgeable regarding my care. I am very confident in her abilities." "Dr. Russo is an excellent physician, always taking the time to answer all of my questions and patiently respond and explain procedures, medications etc." "my mother and myself both are patients of Dr. Russo. my sister in law and I recommended my cousin to her also. we all use her." "Dr. Russo is an excellent and caring physician. We have confidence in her medical advice. She is excellent at informing us about our test results and explaining what they mean. I am a molecular biologist/geneticist and understand anatomy and physiology. Dr. Russo respects my training and intelligence and is willing to explain things to me in greater depth than other patients and always answers my questions, which can be extensive." "Dr Russo is professional and compassionate. great doctor!" "Dr. Russo is a compassionate and extremely competent doctor. As I mentioned in the earlier part of this survey, I sought her as a result of a former doctor not coming to the phone (not because of me but because that is not his "policy," as explained by the staff) in regard not to me, but my husband's chronic back pain and the questions we sought from him). Dr. Russo 's exam seems thorough and efficient as she tests your ENTIRE body's functioning -- impressive which no other doctor in the past has done is the completeness of the neurological exam and her subsequent explanation of this when she calls you with both her exam results and test results so everything is integrated well. I may be somewhat more "sophisticated" about medical issues and certainly curious asking perhaps more questions in general than the average patient and Dr. Russo always gives me an explanation and then some if I need it. She has a busy practice but I believe that she has given me the most out of her time with me. I have been on the "borderline" for the past year in the need possibly to take meds for cholesterol and sugar control but rather than order meds immediately she has called me back for 3 mos. or 6 mos intervals for additional lab workups in order to track specific test results for these areas of concern. I would imagine that another doctor might not do this but together with other clinical results and general functioning Dr. Russo makes her decisions so she is using different sources of info. for her medical decisions and interventions. That makes me feel that she is thorough in her assessments and thoughtful in her decisions - she is, what I believe, a good doctor SHOULD be -- thorough, thoughtful, and knowledgeable." "Dr. Russo is a very concern & thorough dr."
"Since I am 84 years old. And some limited in my hearing. This provider, speaks to me like a child. Very clean to understand!" "I love her as she has saved my husband's life on 2 occasions. She is an excellent diagnostician and a wonderful person who displays empathy - I just like her!" "I am impressed with her thoroughness, concern and compassion. She's a wonderful woman and doctor." "I have referred a sister, aunt, husband, cousin & friend - All of whom are very happy patients of Dr. Russo." "Dr. Russo is the most excellent provider I have experienced." "Great experience always, great dr."
"All doctors should be as caring and nice as Dr. Russo!" "Dr. Russo is a very kind & caring provider - I feel so relaxed with her taking care of my medical needs. She is a peach!" "Dr. Russo is excellent and thorough. She's an excellent diagnostician." "Dr. Russo is wonderful. very detailed oriented, explained everything and really listened to all my questions and concerns. I could not be happier with my choice for a PCP." "as stated I have referred & would do again"
"Dr. Russo has successfully cared for my lungs over many years - & confidence in her is high." "Very satisfied - If ever a problem she calls you." "Dr. Russo is a caring, dedicated MD. She is one in a million." "I have already recommended this care provider to a friend." "I am very fortunate to be cared for by Dr. Russo. She always has my best interest and great care." "Dr. Russo has been my pulmonary dr since 1964. She has always been very good though." "Dr. Russo is a joy!" "I am a health care professional. I know what a physical assessment should entail. I unfortunately have never had a doctor like Dr. Russo. She thougroughly assesses her patients. She is very knowledgeable. and She makes me feel very comfortable in her care. She also calls with results good or bad and reviews all of them with you. overall Dr. Russo is one of the best doctors ive seen." "Dr. Russo is caring and compassionate and the best." "Love Dr. Russo's thoroughness. She explains everything." "All i know is i won't be looking anymore for another Pulmonologist other than Dr. Russo, She has always taken care of me, and despite my resistance to stop smoking back then, she always reminded that it could get worse and it did. She is very honest and direct and to the point and always has an open mind and ear." "Dr. Russo is exceptionally knowledgeable, thorough & follows up on each item - I would highly recommend her." "Excellent experience with Roseanne Russo m.d. And her staff!!" "My experience is always very good. Dr. Russo is a great doctor and sincerely cares for her patients." "Every one is always so happy talking with you let you feel welcome." "Dr Russo is a excellent doctor both in medical knowledge, professionalism & caring." "Dr. Russo has been my primary dr. since 1964 she saved my life. (She is the best.)" 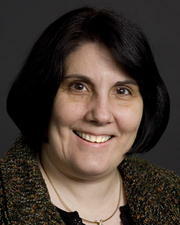 "Dr. Roseann Russo is the best doctor I have met for COPD - She is understanding & professional." "I recommended her to my (she is in the medical field) daughter that is very critical of MD's. As Dr. Russo said, I guess I passed the test, she's now one of my new patients." "Dr. Russo is a very caring friendly, professional person." "Good experience with my doctor." "Dr. Russo helped me relax - I had concerns about being out of work - she said she can't let me return until I breathe better -"
"Dr. Russo has overseen my pulmonary issues for more than 11 years. I credit her with inspiring me to finally stop smoking and keeping me as healthy as possible." "Dr. Russo "herself" called me with the results of my tests -"
"As stated before she is very good..."
"Dr. Russo is caring and competent and that makes me comfortable with her care." "Dr. Russo is ONE of the best physicians." "I love my provider - she is very kind & understanding." "My husband, daughter and three friends now see Dr. Russo." "Dr. Russo is an exceptional care giver - I have total trust in her." "Dr. Russo is a competent physician in area of pulmonary - But she has always helped me with other concerns." "Dr. Russo is an excellent physician and I have already recommended her more than once." "Previously would see this doctor as a pulmonologist specialist - as a result of her concern. I switch to her as my primary care specialist also."